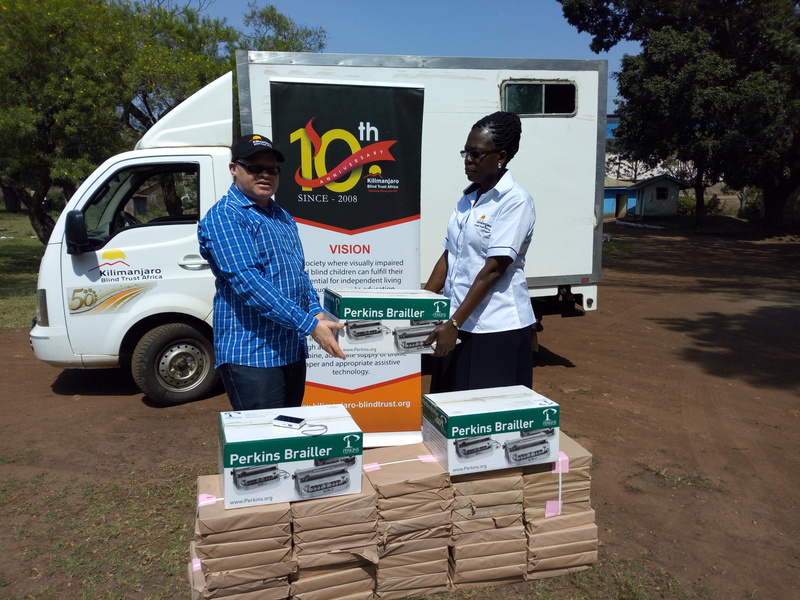 Kilimanjaro Blind Trust Africa celebrates 10 years of educational services for blind and visual impaired learners in East & Southern Africa. 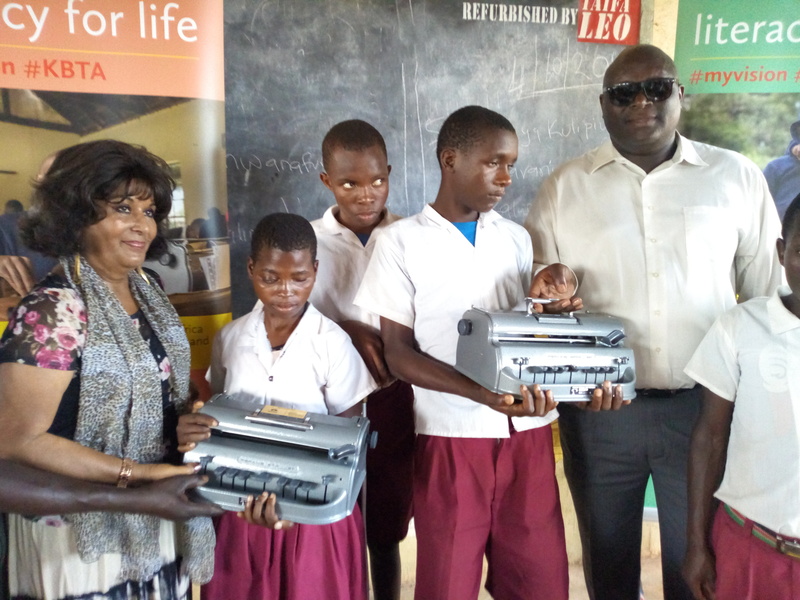 We work to ensure that every child has access to a functional Braille machine and quality Braille paper among other equipment and learning materials. 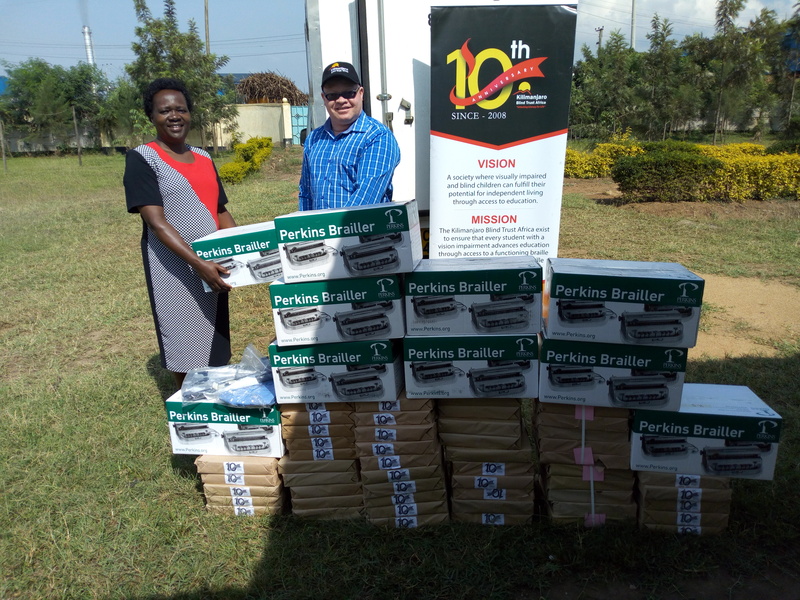 Our efforts over the last 10 years will be marked by an event in Nairobi on Friday, November 23, 2018 at an event where we will launch the Orbit Reader 20 project supported by Google; and a nationwide White Cane campaign in partnership with Safaricom Limited. There will be a panel discussion on the impact of technology in education and employment of persons with visual impaired. Smiling with visually impaired learners every step of the way.. 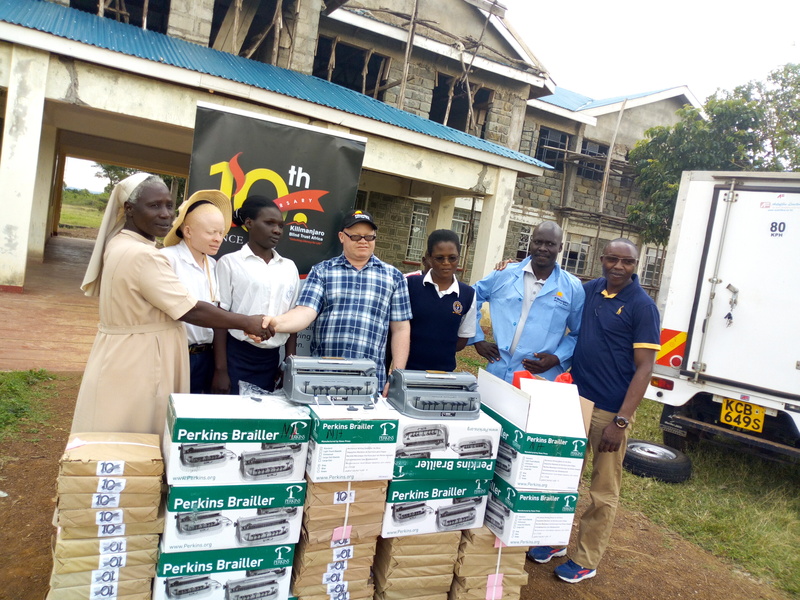 This year we have partnered with well wishers to donate more than 120 Braille machines to various schools in Kenya, Uganda and Malawi. These tools have significantly reduced the learner to Braille machine ratio which now stands at 1:3. 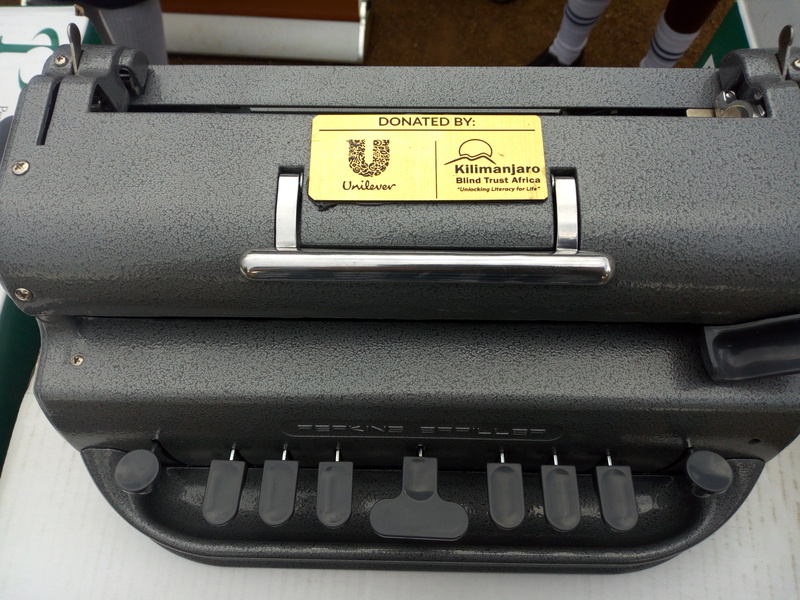 ….every three learners share one Braille machine. We have had generous donation and support of the following corporate organizations and individual philanthropists: Safaricom Foundation; Unilever East Africa; Standard Chartered Bank; TATA Africa Holdings; Safepak; Total Kenya Limited; Mosound Events; Sumaria Industries Limited; Laugh Industry Limited; Apex Porter Noveli; Sauti Sol Entertainment; Allpack Industries Limited; Free the Children; Leena Nair; Justin Apsey; Anne Eriksson; Orvando Ferreira; Stella Atela; Salome Nderitu; Betty Maina; Grace Oluoch; Joyce Wanjiru Githiga; Arijit Mukherjee; Joseph Sunday; Salome Nderitu; Ruth Mwangangi; C.D. Glin; Myriam Assa Sidibe, . 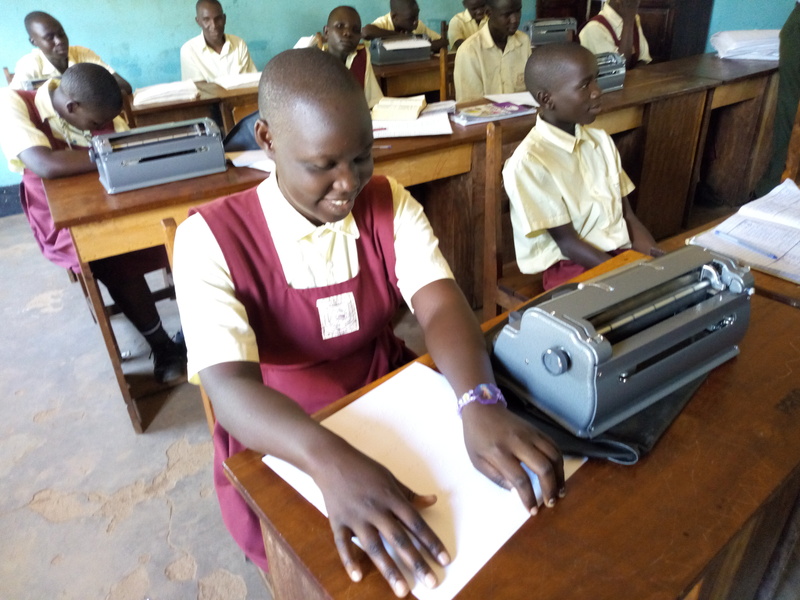 In order to monitor the Braille machines in schools for maintenance and progress of users, the machines are assigned to specific learners recorded in our database by name and serial numbers. 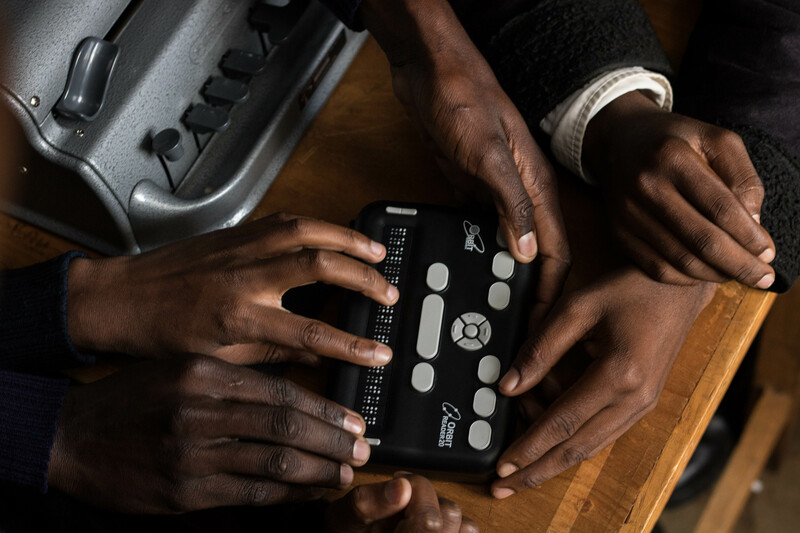 Looking into the future where blind /visual and impaired learners can access education and opportunities, KBTA is piloting the Orbit Reader 20. This is a new low-cost Braille Note-taker & reader targeting children in rural, inclusive classes with no access to learning tools. 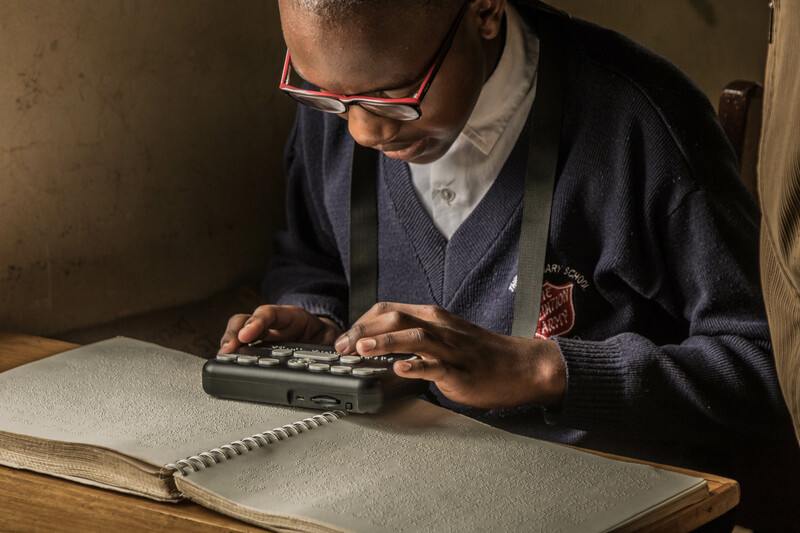 The Orbit Reader thus ensures that blind learners will have equal access to text books and supplementary reading material that their sighted peers in the same classroom have. 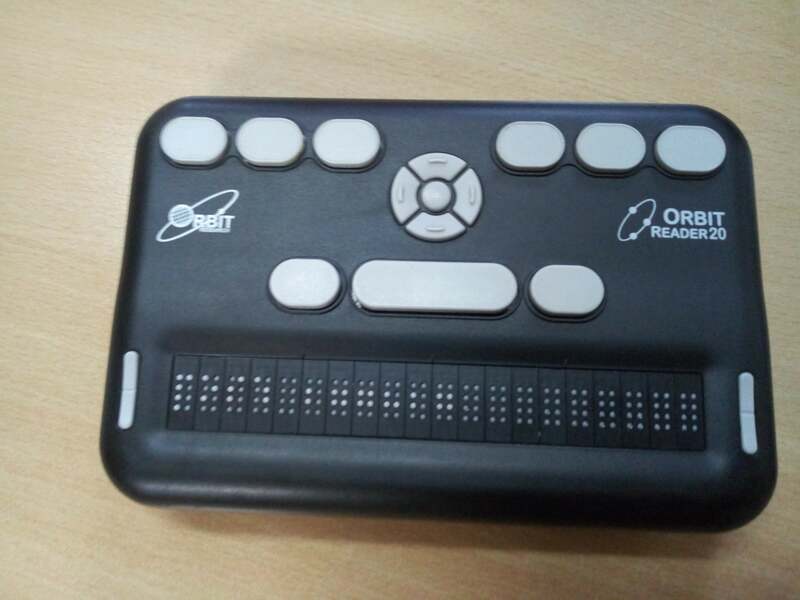 Compared to a mechanical Braille machine, the Orbit Reader 20 is smaller, lighter and is silent while in operation. It can store thousands and thousands of books in electronic Braille displayed in refreshable Braille. 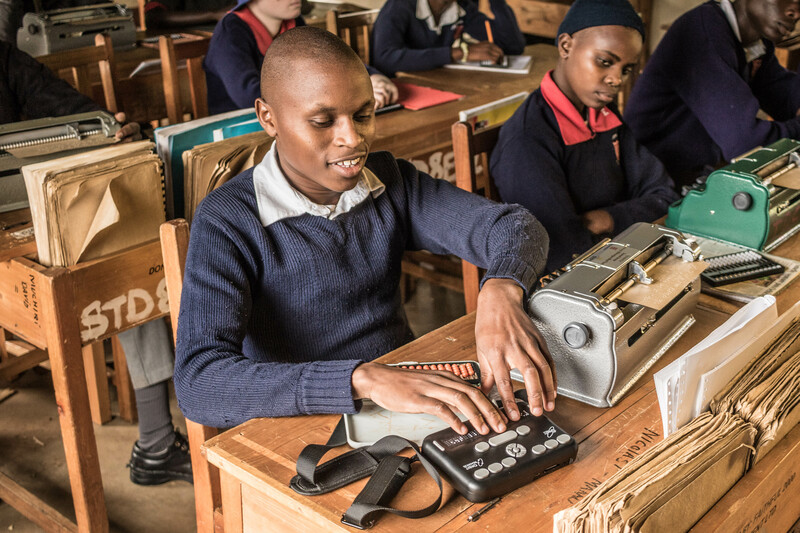 Learners will be able to do their homework just like their sighted peers and enjoy discovering many new areas of learning through additional material available in electronic Braille. However, the Braille machine will remain useful for STEM subjects. 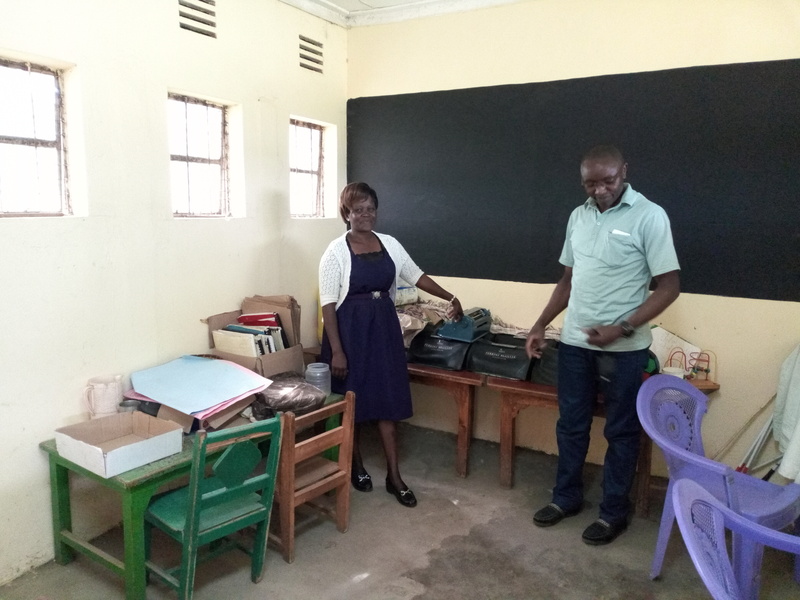 KBTA conducted two successful pilots on the efficacy of the Orbit Reader 20 and ease of access to content by blind learners, with three schools in Kenya. The project will be scaled up to other schools in all the partner countries i.e. Tanzania, Malawi and Uganda after the launch. 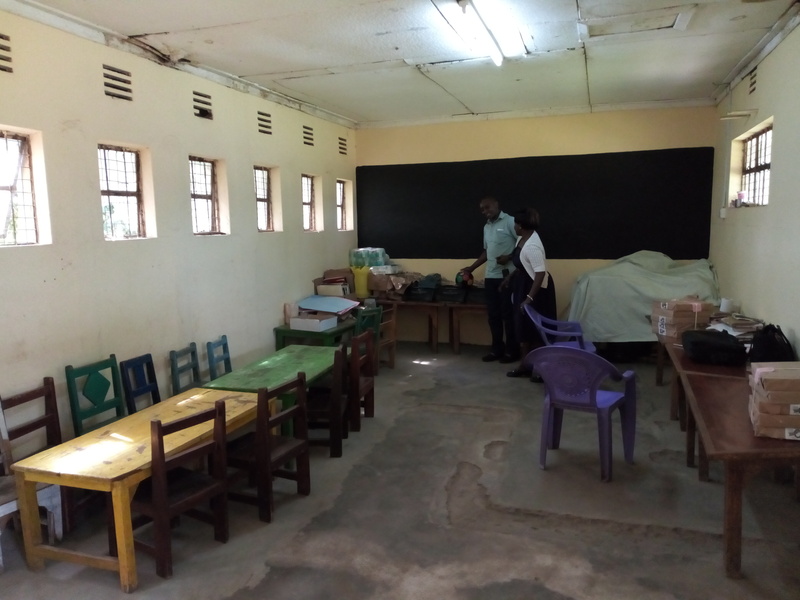 In course of our work, we encountered cases where blind/visually impaired learners in special schools with boarders and inclusive units in regular schools had difficulty or challenges with feeding the children. This situation forces the school management to result to early closure due to lack of funds for feeding. Large number of these institutions rely on well-wishers for the funds that provide the food and which are not regular. This to us is a huge prob elm because children cannot learn on an empty stomach. Some of the children learn and stay under deplorable hygiene conditions. 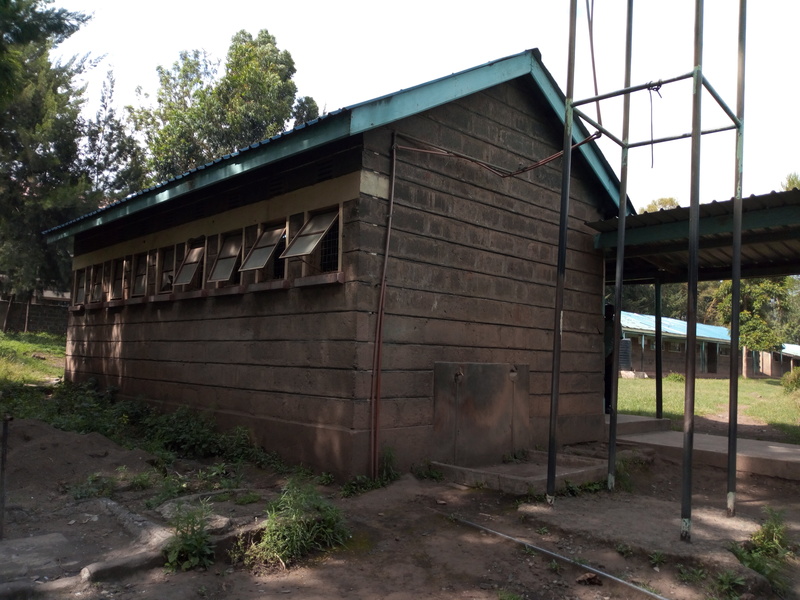 Example below of a case of an integrated primary school in Kenya which has converted an old toilet block to a resource centre for blind/visually impaired learners.